Sugru is the worlds first mouldable glue. It starts off like playdough so you can shape and mould it into almost anything, you leave it overnight and it turns into a strong, durable rubber. Sugru was invented to make fixing and making things easy and fun for everyone. The below content is from social media taken from external sites and is not representative of the views of businessagent.com or Sugru. Good Club is an online grocery shop that is selling over 2,000 sustainable staples (70% ambient food, 30% non-food) and delivering them directly from wholesalers to customers nationwide. By eliminating the middlemen, it has lowered its price on an average of 1.76% thereby making household groceries affordable. Now, it is advancing its packaging and technology to quickly tackle the single-use plastic crisis. 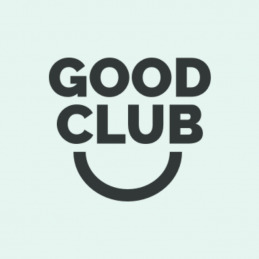 Good Club is on a mission to cut waste by partnering with brands to package products in reusable packaging, offering a free recycling service and distributing and collecting product packaging and delivery boxes for reuse, without further expense. Furthermore, Good Club's aim is to help people live more sustainable lifestyles and become the world's first zero-waste online supermarket.